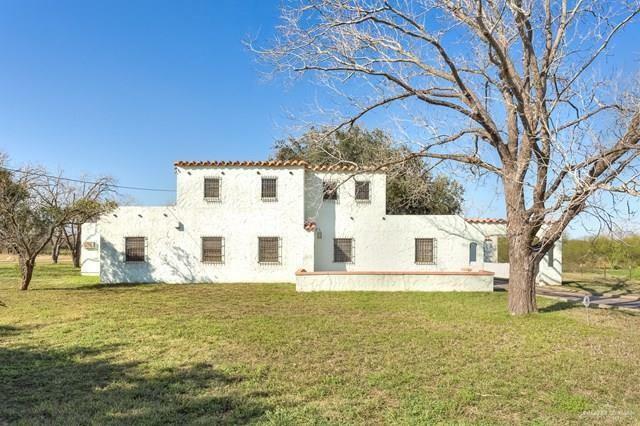 This is a very unique home used as a stage coach stop and a doctors office. 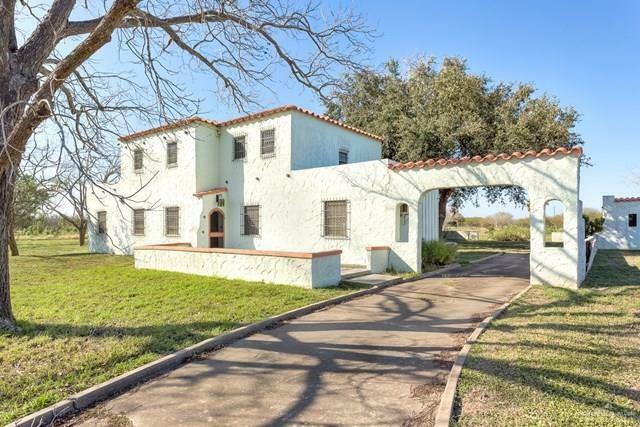 It's one of three La Casa Blanca stucco homes left in the Rio Grande Valley on 27.23 useable acres. Home was completed by 1941 per tax records. The 2 story home has 3551 sf, 5 bedrooms, 3 baths, detached garage/shop and a separate building for farm equipment. Included are some antique light fixtures, gas space heaters including in the fireplace and window ac units. The downstairs features a family and formal dining area, breakfast nook, studio/office with built-ins that include a gun rack, 3 bedrooms with the master (one with oak floors) and 2 baths; upstairs has 2 bedrooms,1 bath and an emergency exit. 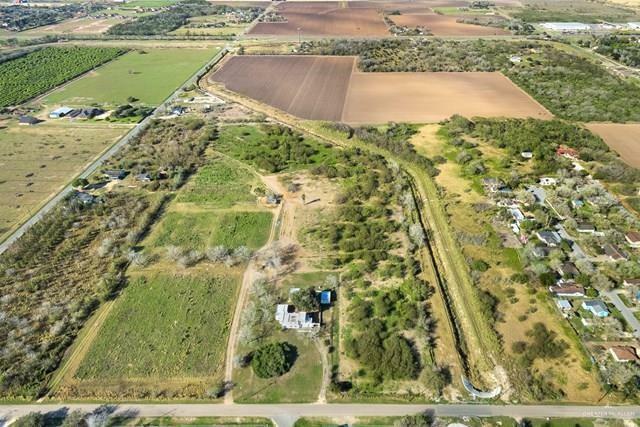 Property includes a deep well for drinking water and a septic system. Come and restore this antique home.